The Cryptborn Nightmares are a team of extremes. One the one extreme are the skeletons: dime a dozen, but prone to collapsing into piles of bones. On the other extreme are the mummies: rock hard opponents that don't ever stay down for long – if you even manage to get them down in the first place! 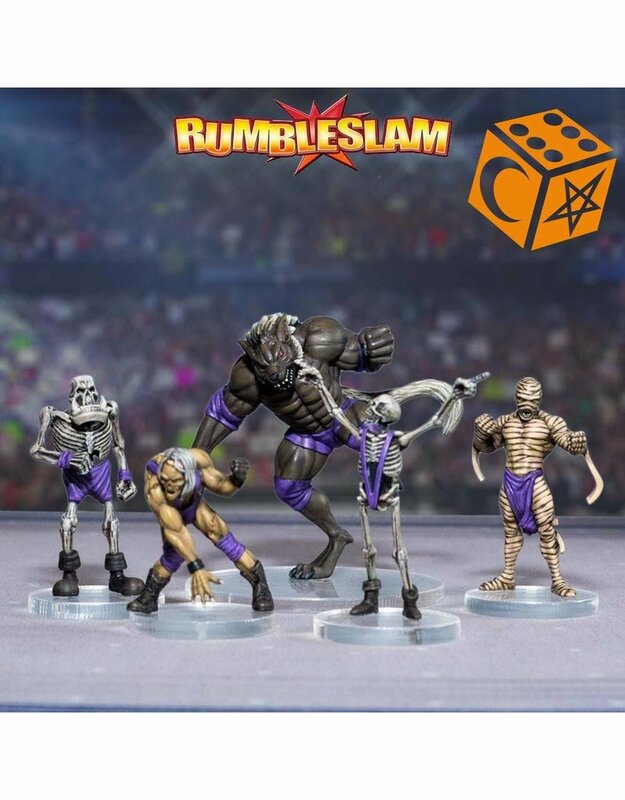 Teams from the Rolling Bones will find great longevity in these undead monsters. Skeletons and Ork Skeletons aren't too worrying on the face of it, but their special abilities hit extremely hard. Just be careful not to put them against far superior opponents, or Brittle Bones will make them explode from a particularly savage beating! This box contains one of each: Skeleton, Orc Skeleton, Zombie, Mummy, and Werewolf. All miniatures are supplied unpainted and unassembled with a unique character profile card and base.